New York City isn't just the center of America's economic system; it's the birthplace of our nation's government. On Wall Street, one building stands as witness to a remarkable series of events that shaped this nation—Federal Hall. During the American Revolution, New York City Hall, on the site of today's Federal Hall, served as military headquarters, first for General George Washington and his Patriot troops, and later for the British. On November 25, 1783, the defeated British ceremonially left the city. General Washington returned to Wall Street with much fanfare, and the flag over city hall was changed from the Union Jack to the Stars & Stripes. 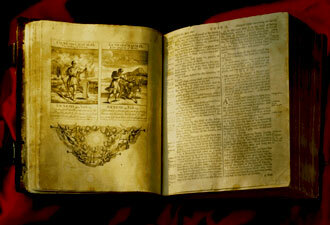 Evacuation Day, as it later became known, was celebrated annually as a citywide holiday with parades and parties. In 1789, just six years after the British retreat, city hall would become the site of the new United States Capitol. 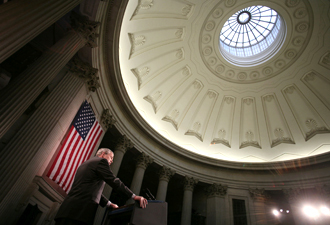 With its heightened status as the seat of the national government, city hall was renamed Federal Hall. It was here that General Washington would become President Washington and that the First Congress would draft what became the Bill of Rights. Today, visitors to Federal Hall National Memorial can come face to face with this extraordinary story by checking out the Bible used in George Washington's first inauguration and a piece of the balcony that he stood on during the ceremony. A three-dimensional model recreating the scene of Washington’s inauguration reveals some interesting details. Can't get enough of these incredible tales? Take part in a ranger talk to hear the story of Peter Zenger, a printing press, and how his trial for libel laid the groundwork for the First Amendment. Learn how Alexander Hamilton, as Secretary of the Treasury, structured the new government and established what would one day become the U.S. Coast Guard. Interested in architecture? Check out the models showing the evolution of New York City Hall into Federal Hall, with corresponding maps showing the transformation of Lower Manhattan. 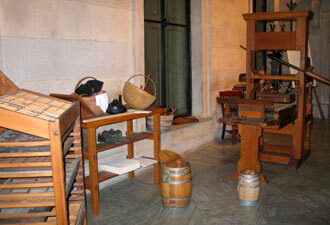 You can also learn about the current incarnation of Federal Hall with its soaring columns and detailed dome. Children can help their families explore the exhibits and building by taking part in the Junior Ranger program. Your encounter with history doesn't have to end at Federal Hall. A short walk to Battery Park will take you to Castle Clinton National Monument, which was part of a network of forts designed to prevent the British from ever recapturing New York City. Or, head north to African Burial Ground National Monument, the site of a 17th- and 18th-century graveyard which held the remains of an estimated 15,000 free and enslaved African and African-American men, women, and children. And if Alexander Hamilton captures your imagination, a subway ride will take you to Hamilton Grange National Memorial where you can learn how an ambitious immigrant became a powerful political force and a member of Washington's first Cabinet. For maximum enjoyment visit Federal Hall, at 26 Wall Street in the heart of New York City's financial district, on weekdays. The inside exhibits are closed on weekends, Thanksgiving, and Christmas. On those days, use the front steps as a lunch spot and take a photograph with the statue of Washington.